Turner Law Offices, P.C. 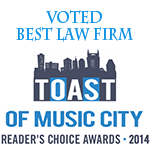 is a full-service law firm with our main office in downtown Nashville, Tennessee. Since November 1991, Turner Law Offices, P.C. has been representing people throughout middle Tennessee, helping people who felt they were without options obtain stellar outcomes in their legal matters. At Turner Law Offices, P.C., You Have A Team Of Lawyers! We have assembled a team of competent, compassionate attorneys and paralegals who maintain a client-centric focus, involving the client in all stages of their case. 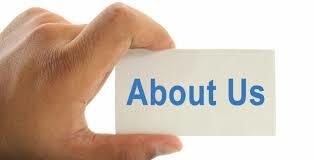 The law firm is composed of outstanding trial attorneys with years of actual courtroom experience. Careful listening and being attentive not only to the legal needs, but to the emotional and psychological needs of our clients, instills confidence that we will do a great job for every client. Our clients are diverse, but they all have one common trait: they need serious and sound legal representation from a lawyer who cares. Our primary focus remains to provide the highest quality legal representation in an affordable, honest and professional manner. Our attorneys realize that this may be our clients’ first time needing a lawyer. The Tennessee legal system can be very intimidating and confusing for non-lawyers. Navigating the legal maze is our job, and we take our clients by the hand and zealously represent their legal interests to obtain a successful outcome. These days, there are a lot of attorneys practicing law in middle Tennessee. Each attorney has completed an undergraduate degree, has a law degree, and has passed the Tennessee bar examination. These are the minimal requirements to become a licensed attorney. What sets Turner Law Offices, P.C. apart from other attorneys is our knowledge, training and experience. Rob Turner, Esq. founded Turner Law Offices, P.C. upon graduating from law school in 1991, and has been building his team of legal professionals since that time. With over 20 years of experience handling over 15,000 cases, Turner Law Offices, P.C. has experience in the middle Tennessee legal community beyond reproach. 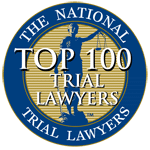 Mr. Turner was recently inducted in the National Trial Lawyers Top 100 Trial Lawyers based on his experiences inside the courtroom. From its humble beginning as a one-man sole proprietorship, today, because of our track record of successfully representing clients, our law firm has six attorneys and three law offices throughout middle Tennessee. Even though our law firm has grown considerably, our mission has never changed: we guarantee that we will do our best on each and every case! 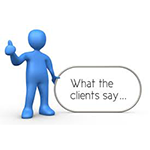 The testimonials from our clients show the good work that Turner Law Offices, P.C. performs. At this meeting, we will thoroughly review the client’s legal problem, then explain in a clear and concise way our recommendations based on the applicable law. Fortunately, most cases are settled and do not have to go to trial. Our experience and ability at negotiation and mediation enables many hotly contested cases to be settled out of court, minimizing the time and expense of a lengthy and costly court battle. However, when settlement is not possible and a trial is necessary, our team of trial attorneys have the additional experience in preparing and presenting your case in a winning manner.